In order to help foreign students to adjust to the new environment and be familiar with the departments and offices on campus, we hold an orientation and invite department heads, administrators and instructors to meet students. After the orientation, international students meet their mentors, Taiwanese students who volunteer to help international students adjust to life and studying at STUST. 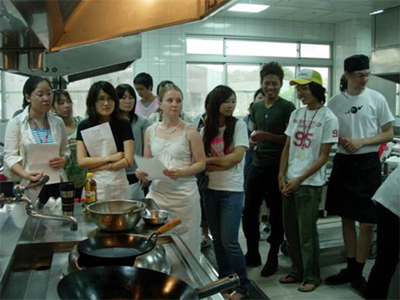 We provide international students with a two-week Chinese Summer Camp each year. In addition to Chinese language lessons the camp is comprised of a series of culture lessons, such as calligraphy, Chinese knot tying, paper cutting, Tai Chi (Chinese shadow boxing), cooking, and more. 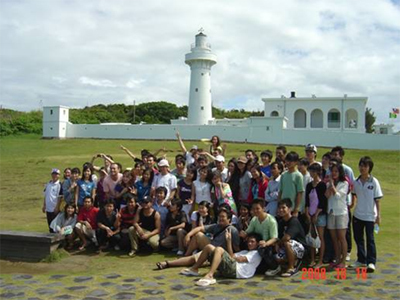 Furthermore, learners go on a trip and go sightseeing around the island on weekends. Each year STUST holds the Pudu rite, a special time to worship ghosts. All international students along with STUST faculty and department heads are invited to participate. We worship departed spirits at the gate of the university and at several offices and buildings on campus. The students are told the historical significance and folk customs of this festival. 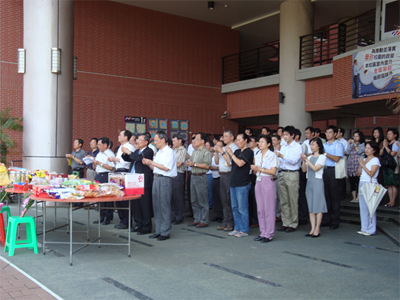 After the ritual, students are able to join the staff and faculty in enjoying a feast together. Moon Festival is a time for family reunions. On this day, we give moon cakes and pomelos to international students, so they are able to taste the traditional Taiwanese foods for this holiday. 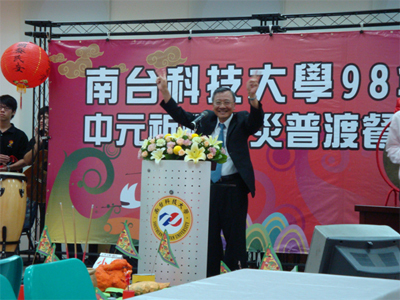 In addition, international students have the opportunity to experience a warm atmosphere with Taiwanese students and discover how this festival is celebrated in Taiwan. o celebrate Teacher’s Day teachers and students are invited to have fun together, by students offering teachers’ bouquets of flowers and goodies. 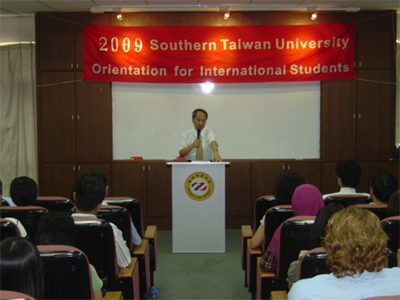 International students are free to express their appreciation to their teachers and understand that Taiwanese people respect their teachers and value traditions. The implications of this activity show a deep reflection of local ideology towards education. 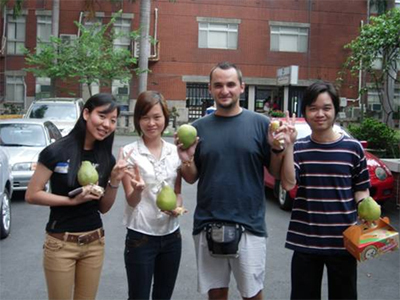 This is a series of activities held annually to promote international academic exchange, by encouraging international students to demonstrate their own national characteristics and various folk customs. 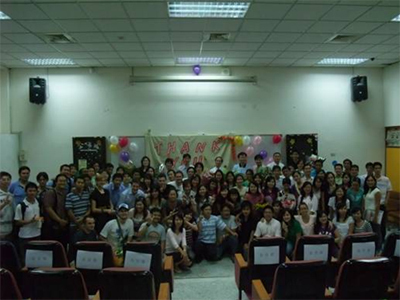 By doing so, we create a mutual exchange between Taiwanese and international students. We expect international students to explore the beauty of Taiwanese culture and get to appreciate the achievement of our development. Therefore, we arrange both one- and two-day trips for them to visit the spectacular sites of Taiwan. 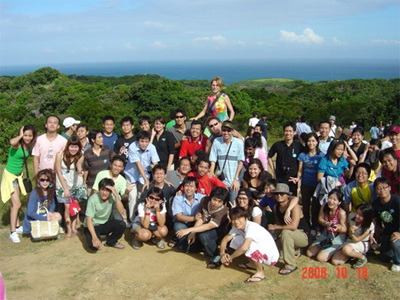 Such trips help students to relax and have fun, making their time in Taiwan a memorable experience.